On April 25, 2015 an earthquake shock with a magnitude of 7.8 hit Nepal, making it the most severe that Nepal has suffered since 1934. Within the next days that passed there were at least 60 more quakes with magnitudes of 4.1 or more. The Nepal Red Cross has reported that the resulting death toll has risen to 8,413 people. Another report informs us that the number of injuries is a horrific 17,576 with many people still missing after the 7.8 magnitude quake. 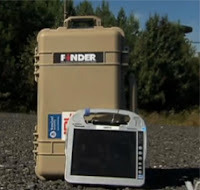 A NASA technology called FINDER or Finding Individuals for Disaster and Emergency Response was used to rescue for people by detecting their heartbeats under the debris. FINDER, a joint project between Homeland Security and the NASA Jet Propulsion Laboratory, was able to do this by sending out a microwave signal able to penetrate up to 30 feet of wreckage and reflecting back the heartbeats of anyone alive. The prototype that was being used in Nepal weighed less than 20 pounds and was about the size of a suitcase. In the future it could be contained on drones and used to search and monitor people in areas too unsafe for other human beings. It definitely seems like a welcome addition to the rescue force. Not only has NASA poked their toes in this, but also have the scouts. World Association of Girl Guides and Girl Scouts and Girl Scouts (WAGGGS) reports that Nepalese Scouts have rescued over 500 people, and distributed 200 tents, food, water, and shelter. 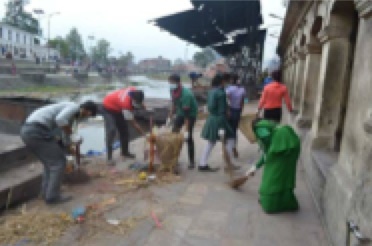 They have also provided first aid, worked with the Nepalese Army to protect heritage sites, unblocked roads, and collaborated with the government by giving out relief supplies. These are very commendable efforts to take in such harrowing times, and I know that I can definitely say that the Nepal Scouts participating in relief efforts are doing a truly admirable thing and are absolutely showing COURAGE, CONFIDENCE, and CHARACTER by responding to the crisis this way. This is a very terrible thing to happen to a country. 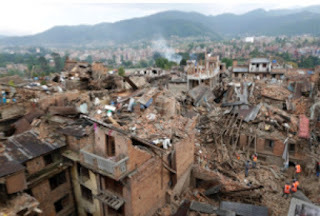 It will most definitely take Nepal a long time to recover from this natural disaster. An earthquake is a horrible thing to be wreaked upon a nation, and we must hold hope for the people affected, acknowledge their wounds and heartbreak, and have faith that they will rise up from this terrible tragedy with the undeniable resilience that they have already shown. *Article written in May 2015 and reflect the situation in Nepal at that time.